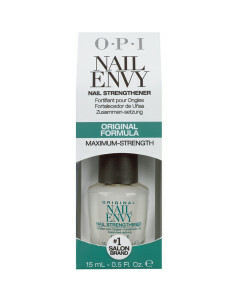 OPI delivers strength with its range of Nail Envy natural nail strengthener, the ultimate product for nails in need of a nail treatment. 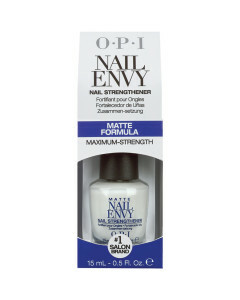 Made with hydrolysed wheat protein and calcium to help nails grow harder, longer and stronger, OPI have developed 6 formulas to meet your individual needs. Discover our selection of OPI nail envy colours, so you can give yourelf a nail treatment without having to go bare.